Now you can holiday in Goa and feel you are in Las Vegas. Welcome to the world of the Caravela! This 215 ft. long cruise ship can comfortable accommodate 300 people. 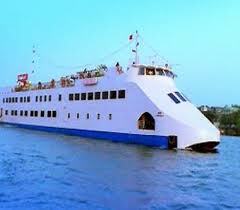 Docked at Panji, the capital of Goa it promises an eventful evening out. While sightseeing on the upper open deck is invigorating, the more adventurous can enjoy American Roulette, Black Jack, Rummy, Stud Poker, Baccarat, Pontoon and Flash. For the light hearted among you there are Reel and Poker slot machines as well as upper deck entertainment and a wonderful sundeck bar.